Who is Clara Feder ? As promised with Michel Gutsatz’s portrait, from the Le Jardin Retrouvé, I suggest you follow me and meet Clara Feder, his wife, the creative director of the brand. So let’s discover who is Clara Feder, a pluridisplinary artist, inhabited with her imaginary world and always fueled with art and litterature. Who is Pierre Dinand ? My collection of portraits continues… It is about Pierre Dinand this week : a man who has dedicated his life to the design of perfume flacons. His name is unknown to the general public, but we all know Opium from YSL, Femme from Rochas, Amarige from Givenchy, Eternity from Calvin Klein, Armani from Armani, Eau Dynamisante from Clarins… just to mention a few. Even after fifty years of his career, he still draws and dreams about new flacons with just as much passion. 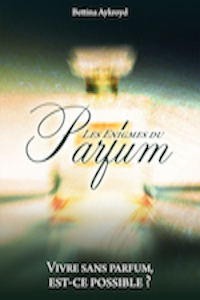 For him, to design a flacon can be compared to drawing a house… It is the house of the perfume ! So, let’s now meet this lively man.